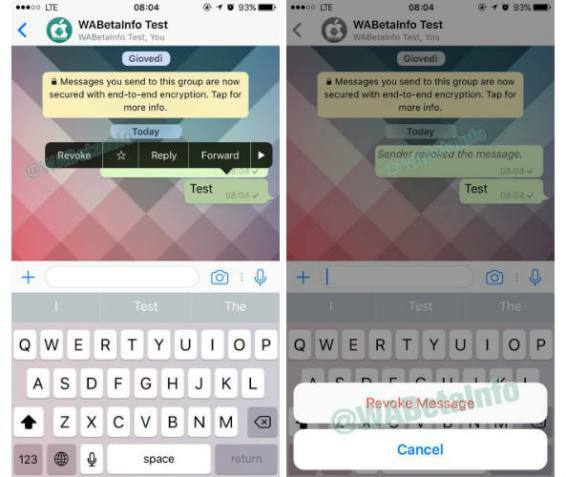 Have you ever wondered how to revoke a Whatsapp message after you had hit the sent bottom? Then look no further as you can now revoke it on the new Whatsapp Android Beta or iOS. This new feature will avail you an opportunity to revoke the messages sent and also show that you had revoked the messages. This will mean that your friends or the people you are chatting with, will know that you are hiding something from them. On Whatsapp, this is signified by a blue tick mark. If the message has simply been received by a phone but not read with grey tick marks, in other words the feature still works, then it can be revoked. So, if you had wrongly said a message, and do not mean to say so, then be rest assured that you are covered s you can revoke and edit the message sent.